Posted on August 29, 2016 by Cameron C.
Hello! Please note that I have finally added a “follow” button to the right side of this page (that is, if you find these articles educational and would like to subscribe). The inventors of sozo have named it this, claiming they know the Greek meaning. Whenever an individual says they know the “Greek” origin of a word, they (can) sound like they know just what they are talking about! Perhaps this makes them look more competent and that they have done their research. Many manipulative teachers carry out this tactic these days (claim to know the Greek language and origin of words) in order to trick their followers into thinking that they are intelligent and trustworthy. The irony in all this is that the word sozo from the Greek origin (Strong’s Concordance number 4982) literally does mean to “save, heal, preserve or rescue; to deliver out of danger and into safety” – but this is referring to saving from danger, and that includes the false, deceptive, dangerous practices like sozo and their teachers. This is one of the dangers the Bible is warning about (see also 2 John 1:11, etc)! What was the purpose of the letter Jude wrote? He was trying to warn and hopefully sozo the people from the false teachers’ tactics (vs. 4). He urged people to “contend for the faith” (vs. 3) and warns of these “certain men” (vs. 4). They were men who were greedy for profit (vs. 11). He even calls them “brute beasts” (irrational animals). They “flattered people to gain advantage” (vs. 16). I know that doesn’t sound very nice or “loving”, but he was looking out for the innocent people and their well being. That was loving. Jude then tells his hearers to “save (sozo) with fear, pulling them out of the fire”. Why do you think Jude, the brother of James, saw so much danger with false teachers and their practices? Was he overreacting? Do you think it was brave of him to speak up despite it being “negative”? Do you see the irony in the name sozo? Do you think this was done on purpose to confuse people into thinking that they need sozo? Do you think certain institutions can be very tricky and deceptive? It is ironic that the sozo teachers promise people liberty and freedom, when truly people need to be set free from this practice. Posted on August 21, 2016 by Cameron C.
Is the practice of sozo linked to scientology and kabbalah? Is there a link between sozo, Scientology and Kabbalah? What do you think? Scientologists do “auditing” while sozo people do “editing”. Are these similar practices? Please check out the following video! Posted on July 25, 2016 by Cameron C.
“The people they call pharisees are those Christians who talk of repentance, consecration, holiness, righteousness, getting right, sanctification, hating sin, and loving God. The people they call pharisees are those Christians who love God so much, they seek the truth from God’s word, even if it goes against the grain of our culture. The Pharisees hated Jesus. They told lies and did whatever else they could to make sure they would see Jesus die. *This ministry does not necessarily endorse all teachings on the referred websites. Posted on July 23, 2016 by Cameron C.
Calvary Chapel pastors should be very careful when they make the claim that they are “God’s anointed”. Posted on July 22, 2016 by Cameron C.
Is your church guilty of spiritual abuse? Don’t underestimate the danger of spiritual abuse. It devastates one’s pysche, causes depression and post traumatic stress disorder, and leaves victims spiritually barren. When those in spiritual authority manipulate, intimidate, and control others out of lust for power or fear of sin or insignificance. One or more of these signs doesn’t necessarily mean abuse is present, but the more signs, the more likely it is taking place. Posted on July 11, 2016 by Cameron C.
Hi there, friends! 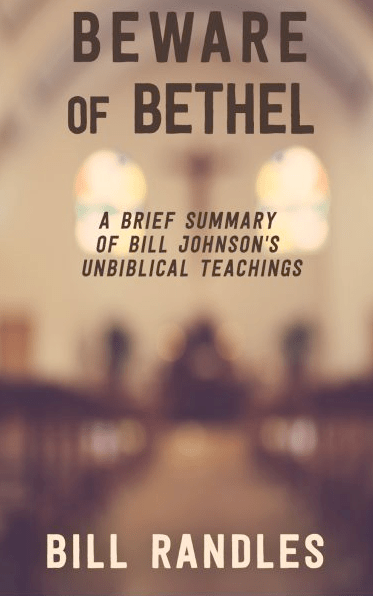 Just wanted to let you all know there is a new booklet out by author and pastor Bill Randles. I hope that this blesses you and may all who you share it with have a changed heart and changed mind, in Jesus’s name. Have a great week! Posted on April 24, 2016 by Cameron C.
Please watch this very loving and truthful video on the Calvary Chapel movement. Please pray about this. This is a problem in this town, Las Vegas, Henderson and not only here – it is everywhere. Posted on April 16, 2016 by Cameron C.
The following was photographed from the Free Believers Network. It is perhaps the best description of the spiritual gift of discernment I have seen so far. I asked the author if I could use this and obtained his permission.